The malpractice of a Georgia workers’ compensation company, which has been compared to the fraudulent actions of Enron, will ultimately have a large negative impact on innocent citizens. The State Insurance Commissioner’s office has begun a criminal investigation into SEUS, an insurance company that provided workers’ compensation insurance to dozens of Georgia communities. Suspicions of SEUS, short for Southeastern U.S. Insurance Inc., began when department analysts learned that the company had engaged in questionable business practices with a hunting club it owned in Seminole County. SEUS had invested $10 million in the hunting club when the company was in no financial condition to make such an investment. Upon investigation, the department also discovered that SEUS was inflating company assets while drastically understating liabilities. In October 2009, Fulton County Superior Court Judge Thomas R. Campbell, Jr., ordered SEUS, which at the time held over 200 workers’ compensation policies and provided coverage to dozens of towns and school boards in Southern Georgia, into liquidation. Georgia Insurance Commissioner John Oxendine was named as the liquidator. Following investigations into the company’s financial transactions, Oxendine compared the bookkeeping methods of SEUS’s former chief executive, M. Clark Fain III, to those of Enron. Companies like Enron and SEUS, which are motivated by corporate greed, inexcusably disregard the large negative affect their misconduct will have on innocent citizens. Oxendine’s office has taken over the operation of the workers compensation insurer and is now authorized to sell off its assets to pay claims. SEUS has also been banned from involvement in further business. 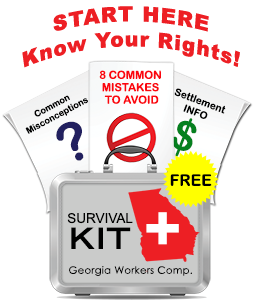 Attorney Jodi Ginsberg represents employees who are injured on the job and who need medical care and missed wage benefits available under Georgia's workers' compensation laws. 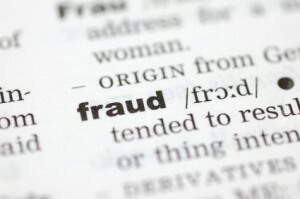 Filed Under: Blogs, Recent developments, Workers' Comp Fraud Tagged With: Georgia Workers' Compensation Fraud, SEUS Fraud, Southeastern U.S. Insurance Inc.
Don't know where to begin? Get this Survival Kit now. You can unsubscribe at any time. "The single most important thing a person can do is to understand their rights guaranteed under Georgia State Law. This new Survival Kit will do that." If you are injured on the job, do your trust your employer to play by the rules with your workers' comp claim?